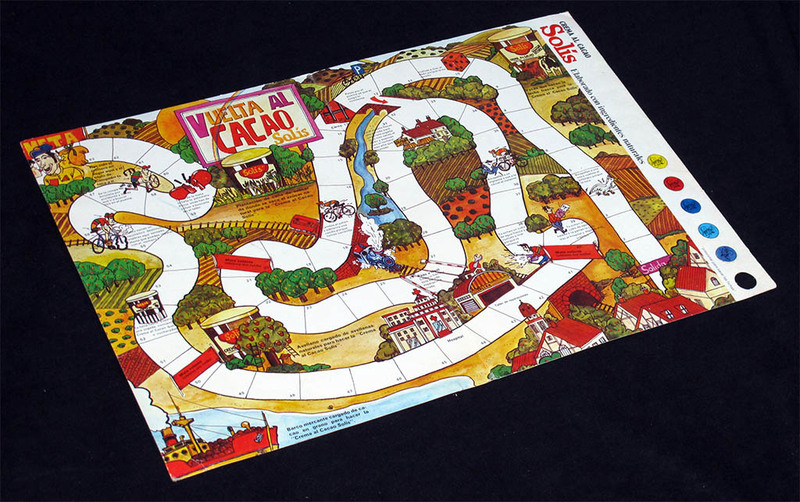 Here is a promotional game for a Spanish cocoa spread brand (what you would call "nutella", and a Spaniard would call "nocilla", after the best-known brands). The race incidents are described with rhyming couplets. 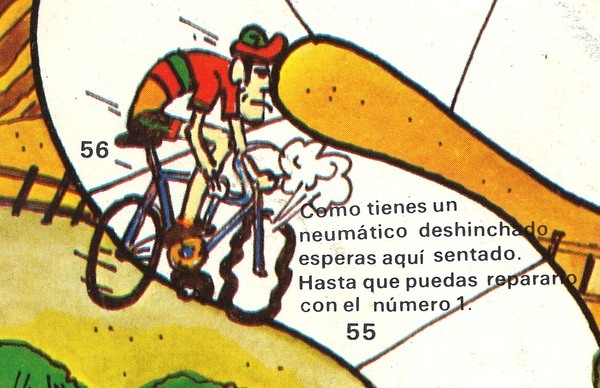 Rhyming rules are not unusual in Spanish children's games. 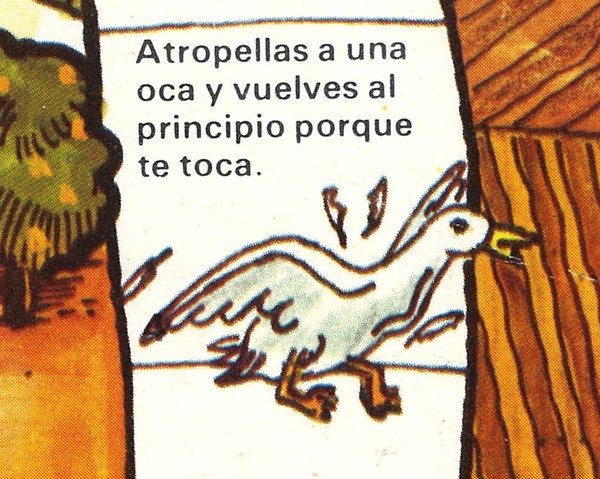 The most famous stance is the game of goose's couplet "de oca a oca y tiro porque me toca" (which, by the way, introduces a rule that is different from other countries' games of goose... but this is a different subject). Even though the game of goose's influence is everywhere in this game, I would still not say it is one but just a simple roll-and-move game (following my am-I-being-subtle-enough distinction). 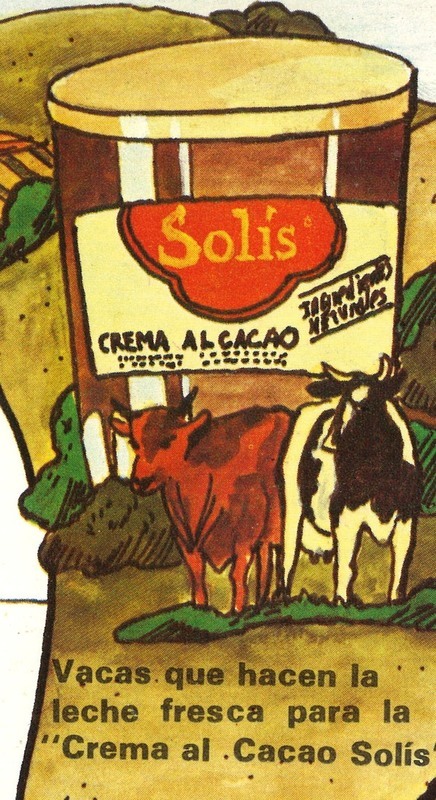 As I said above, "Crema al Cacao Solís" was a cocoa spread brand. Four jars are depicted on the board, but just one is on the track, featuring a rhyming rule (well, maybe you have to read it twice to detect the rhyme on that one). The jars outside the track do not have rules for the game and they do not have rhyming couplets. 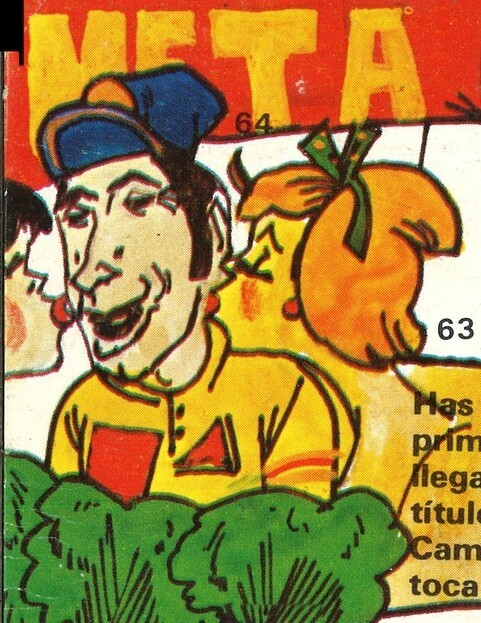 The game can be dated, albeit approximately, by the fact that no other but Eddy Merckx is displayed as the winner in the last square of the game. 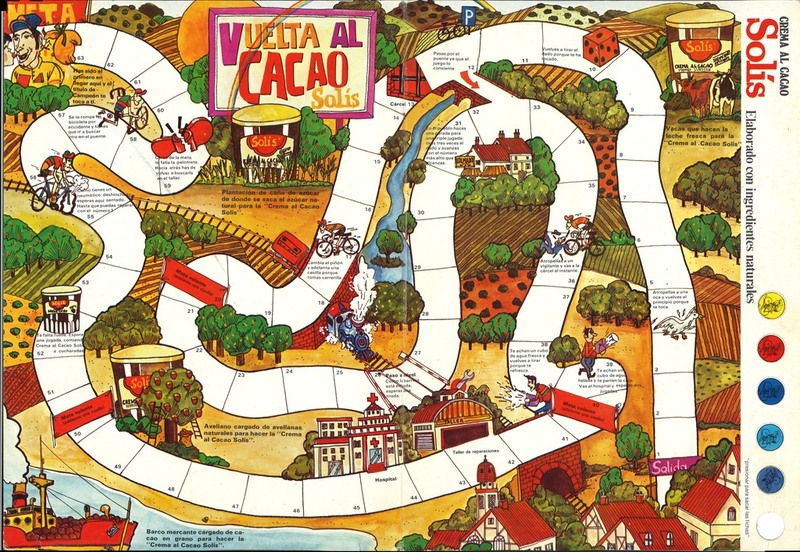 Ad from a 1968 magazine (where the product was not called "crema al cacao" but "crema de chocolate"). As I said above, a cocoa spread is called "nocilla" in Spain after another brand (and of course it is called "nutella" almost everywhere else). 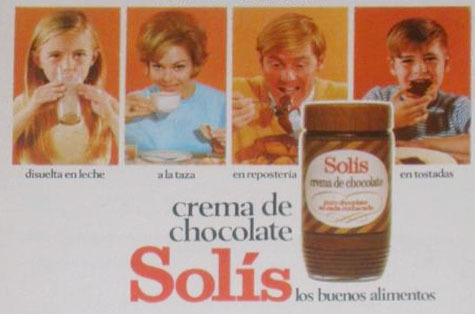 The Solis brand was famous for their mayonnaise and their tomato sauce instead. 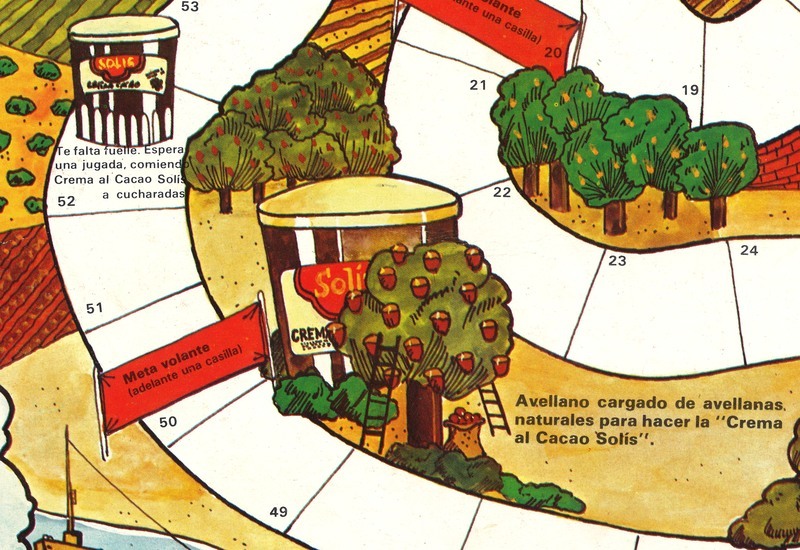 In fact, you can still find Solis Tomato Sauce in Spain, even though it is part of the Nestlé catalogue now, since Nestlé acquired Solis in 1985. However, nobody remembers "Crema al Cacao Solis". 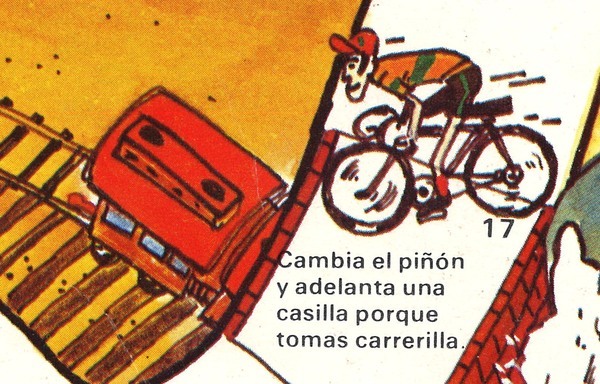 Which does not say much of the benefits of promoting your products with cycling board games.